Two Cambodia Daily reporters stand accused of incitement and threatening voters in a complaint filed to the Ratanakkiri Provincial Court on Thursday, a court official said on Sunday, even after a prior complaint against the journalists was resolved by the commune election committee. The complaint came as Information Minister Khieu Kanharith posted and then removed a photograph of the passport of one of the reporters, telling local media that if the reporter found the action threatening, he should leave the country. Last Monday, Zsombor Peter, a Canadian associate editor at the Daily, and Aun Pheap, a Cambodian reporter, interviewed locals in O’yadaw district’s Pate commune—the only one in the province to elect an opposition commune chief in 2012—as part of the paper’s coverage of June 4 local elections. 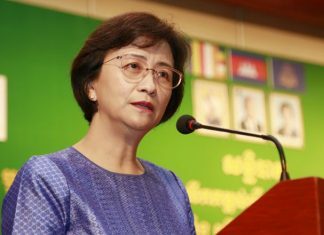 On Thursday, a complaint was filed to the court, according to Prak Soeun, deputy secretary of the province’s court secretariat, who said he did not know the names of the plaintiffs. “They sued a Canadian journalist and a Cambodian translator related to incitement and making threats,” Mr. Soeun said on Sunday, mistaking Mr. Pheap for a translator and adding that he had passed the case along to the prosecutor’s office and was unaware of its details. 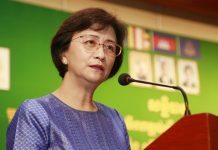 Court prosecutor Chea Pich said on Sunday that he would review the complaint today to determine whether the court or the National Election Committee (NEC) should hear it. “If it is under the jurisdiction of NEC, I will send it to NEC and if it is under that of the court, the case will proceed according to the procedure,” he said. 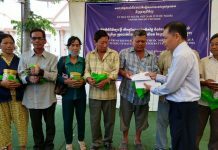 But Mr. Vichet, who was unaware of the court case, said that the initial complaint had been resolved on Wednesday by the commune election committee (CEC) after the complainants agreed to drop the issue. “We have already solved it with a compromise,” he said on Sunday. Mr. Born, the villager, said on Sunday that the group had dropped the first complaint. He confirmed that he was one of the plaintiffs in the court case, but refused to explain why he had taken the issue to court or answer further questions. Mr. Yuot, the SRP commune chief, could not be reached for comment. Mr. Yuot said earlier this year that he was shocked at being excluded from the commune candidates list for the upcoming elections for the opposition CNRP, which was formed from a merger between the SRP and CNRP President Kem Sokha’s Human Rights Party. NEC spokesman Hang Puthea said that while voter complaints go through the election body’s resolution system, other complaints could go to the courts. After the initial complaint was filed on Wednesday, Mr. Kanharith, the information minister, posted a photo of Mr. Peter’s passport to his Facebook page, urging reporters to abide by election laws even as it remained unclear how the reporters’ questions might have run afoul of the law. 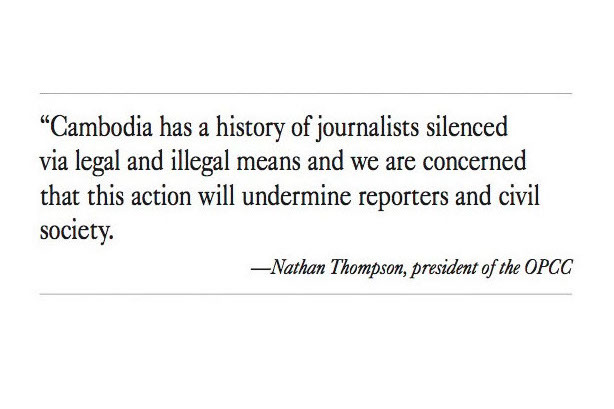 In response to criticism from the Overseas Press Club of Cambodia (OPCC), Mr. Kanharith called Radio Free Asia (RFA) on Thursday and said he had taken down the photo. But he said that Mr. Peter should leave the country if he viewed the post as a threat, according to RFA. The minister did not respond to requests for comment on Sunday. Douglas Steele, general manager of the Daily, said the reporters had merely been doing their jobs and suggested the matter would fade out. 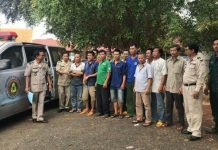 But legal expert Sok Sam Oeun said that even though he doubted the case had merit, Cambodian courts could move swiftly against suspects in politically-tinged cases. In many cases, “the prosecutor agrees to temporarily charge [the suspects], so that the accused go to jail,” he said. Nathan Thompson, president of the OPCC, said the complaint could have a chilling effect on local journalists. “Zsombor and Pheap have impeccable reputations and we hope their names will be cleared promptly,” he wrote in a Facebook message. A research paper published on Wednesday by the Cambodia Women’s Crisis Center (CWCC) in conjunction with Canada’s McGill University claims that forced marriage during the Khmer Rouge regime continues to impact the victims 40 years on.